How can I tell to Asp.Net Core to save nuget packages on a specific folder? 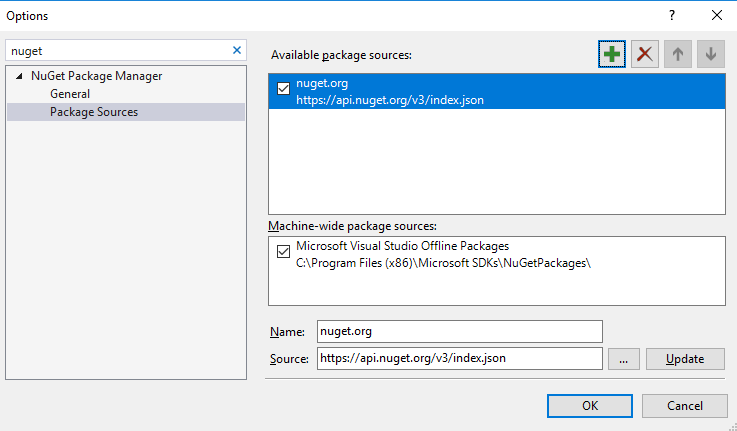 On Asp.Net MVC4 when you create a project and download the nuget dependencies, it created a package.json with all the id and values for all dependencies you have installed. At the same time, a package folder was created at the root of your applications saving all your nuget packages. But this was customizable, you can choose to write a Nuget.config file to point all your nugets to a specific folder. The structure of that one looks like this. With Asp.net core I don't have any clue of where those packages are saved. On the obj folder you can find the project.assets.json with all the configuration for your dependencies, but even with that, I can't figure out where are they stored. For example, bellow is the Automapper dependency configuration, but where is stored that magic lib folder? and how I can change the repository folder for my dependencies? Re: How can I tell to Asp.Net Core to save nuget packages on a specific folder? Automapper dependency configuration, but where is stored that magic lib folder? and how I can change the repository folder for my dependencies? As far as I know, solution-local packages folders are no longer exist for .NET Core and Visual Studio 2017. More details, you could refer to this article(NuGet is now fully integrated into MSBuild). About how to config the NuGet behavior, you could refer to this article.